Have you ever worn something that looked great on your friend but it just doesn’t quite work on you? I think we all have experienced that. It might be the level of contrast. Notice how this low contrast blonde is beautifully supported by this low contrast jacket and skirt. Take a good look in the mirror. If you have light hair and fair skin with light colored eyes, you have low contrast. However, if your hair is dark and you have dark eyes with light skin, your contrast level is high. Another consideration is your level of intensity. Even though your coloring might be low intensity, you might be able to increase the color contrast without overpowering your natural presence. Your contrast level dictates the level of contrast that will be most attractive for you. If you have low contrast, wearing something with high contrast can just be too much. One will see the garment coming before they realize it is you wearing it! This model has medium contrast hair and the medium shade of pink is a perfect contrast for her. 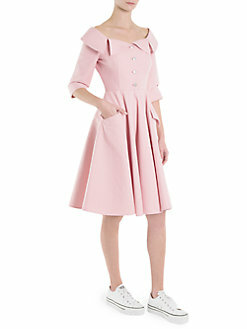 Notice how attractive this blond model looks in the low contrast dress and jacket. It perfectly supports her soft coloring so that the entire image is seen. The model wearing the pink dress is medium low contrast. Her hair is medium-light but this medium shade of pink beautifully supports her natural presence. This gray an black combination supports the model in color contrast while softening the contrast in support of her quieter presence. Now look at the models wearing black. The model with black and gray appears to be more reserved so the black and gray work well with her natural color contrast. Notice the model wearing the black and white combination. Although we cannot see her entire face, her body language indicates that she is confident and has a strong presence. She beautifully carries off this black and white ensemble. A black and white combination has the strongest color contrast. Black checks make a strong statement but this gal appears to have attitude to match. When you have determined your color contrast, here is an easy way to check to see if your color contrast is right for you. Look in the mirror when you put on something that you think might be too bright. Close your eyes for a moment and then reopen them. If the first thing you see is the color, it is too strong a contrast. Your eye should see you and the garment just as with these models. Author Beryl PleasantsPosted on October 29, 2018 October 29, 2018 Categories Color, Image, StyleLeave a comment on What level of contrast do you have? I was speaking with a business lady recently and she asked how to give balance to your appearance when one part of your body is differently proportioned than the rest. Her challenge is the most common for women—having a triangle figure with the hip area being wider than the top. All different figure types have to use camouflage to make their bodies appear balanced and in proportion. Shoulder pads visually widen the shoulders, balancing the upper body with the lower body. The lady with whom I was speaking was very trim but her upper body was small in proportion while her hips were considerably wider than her shoulders. This is where you become a camouflage artist! First of all, it helps to choose a darker color for the bottom than the top. This lady had dark hair so black is an excellent color for skirts or slacks. Dark colors recede and while bright colors advance. To make her upper body appear larger, a bright or light color could be used. Shoulder pads are back in fashion this fall so adding shoulder pads would be great tool to be fashionable while helping balance the upper and lower portions of the body. 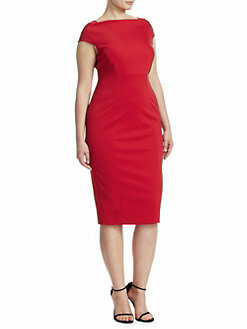 Great business dress to hide wider hips. Skirt could have less flair. A flaired skirt is a wonderful technique to accentuate the small waist and upper part of the body while masterfully hiding the disharmony of the two portions of the body. You can add a cropped jacket to this grey dress and transform it from an excellent office to dinner dress to a great professional business-meeting look. Trousers for the triangle need to fall straight from the widest part of the hip to the floor. Wider trousers should just clear the floor so they appear one continuous line, adding visual height and a clean line. No tapered pants for this body as they accentuates the width of your hips. Straight trousers with a suit jacket nipped at the waist minimize hips and show off waist. Neck accent draws attention to the face–where you want it! You can also use color contrast or decorative accents to draw the eye up to your face. After all, you want the attention on you, not on any “flaws” you perceive might be there. Author Beryl PleasantsPosted on October 18, 2018 Categories UncategorizedLeave a comment on How to Balance proportionally when the body doesn’t cooperate. Author Beryl PleasantsPosted on August 28, 2018 Categories Image, Style, TrendsLeave a comment on Have You Seen the Fall Fashions Yet? Marrying into the Royal Family in England would be daunting to most anyone. It hasn’t been that long ago when King Edward’s desire to marry Wallace Simpson led to his abdication of the thrown. American born, Simpson not only did not have the proper royal ancestry, she was divorced! Although some of these strict rules have relaxed, Meghan Markle is also facing similar challenges in becoming a part of the Royal family. Meghan, also an American and a former actress, is divorced, and has not been exposed to the regulations imposed upon royalty dictating expected dress and conduct code. Kate had the advantage of being British and living with Prince William while they were in college. 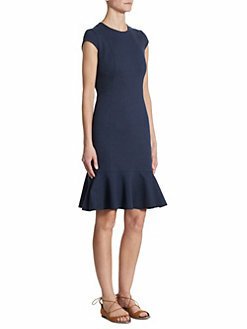 Kate’s innate style is elegant so fitting in is not quite such a stretch. However, I would imagine that it would be challenging for anyone not born into royalty, to adjust to living under constant scrutiny and “expectations”. Meghan’s style is “edgy” and many of her choices will not meet the conservative, “royalty” standard. Fortunately, Prince Harry will probably never be King so the bar is not as high. He has always seemed to have his own mind so he and Meghan will hopefully be allowed more leeway than William and Kate. Ripped jeans and over-sized men’s shirts is one look that the queen will probably not find appropriate for royalty. I agree with this, royalty or not. 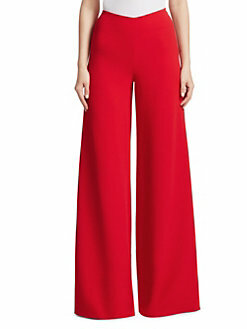 Why would someone want to look like they just shopped at the Salvation Army? Obviously, I am in the wrong generation. Messy bun. Edgy and adorable: not for state appearances. Meghan’s sometimes see-through tops, deep-cut necklines and very short skirts will also probably not meet with approval. These work if you are an actress but not so much if you are representing the royal family for your country. A messy bun look no doubt won’t be acceptable for public appearances. It might be accepted for meeting a girlfriend for lunch. Meghan is adorable with her edgy look but I expect her to modify her dress somewhat while being true to her own style. One unusual fashion habit for Meghan is wearing mis-matched earrings. This is a fun nuance with costume jewelry-not sure how this will translate with those incredible treasures in the royal jewelry collection! Meghan can wear strong colors. This warm brown is dull– not lively. It is always a treat to be a spectator for amazing royal weddings, sharing in their extraordinary pageantry. After the wedding comes a marriage. We all wish the young couple a wonderful future. May their they be able to be themselves while representing the crown with honor. 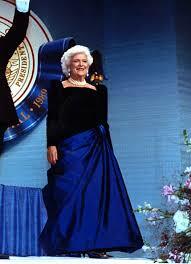 Barbara Bush was our favorite grandmother. She was not afraid of speaking her mind and not bothered by being a bit more rotund. In honor of her recent passing, I chose to feature her first. Her dress was a rich, deep blue; ideal with her snowy white hair and her spunky personality. Her designer chose a perfect style for her. The full skirt was pulled up on one side at the waist adding asymmetry, which gives the illusion of a much smaller waist than Mrs. Bush actually had. This dress was one of my favorites because it was so perfect for her. 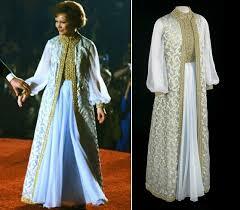 Rosalynn Carter’s dress surprised me. She is a “natural” in appearance and while this lovely dress with long coat was truly elegant in choice of fabric and all of the adornment, it did not fit her innate style. Although the dress did not connect with her persomal style, it was lovely and everyone needs to be “queen for a day”. 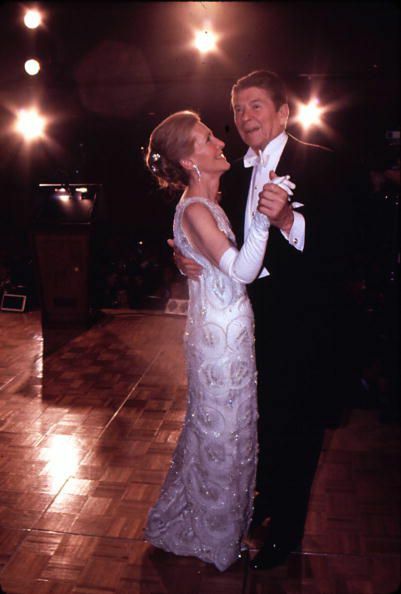 Nancy Reagan chose an off shoulder white beaded dress. Although she was older, she was a size 4 and masterfully chose beautiful, age-appropriate styles, perfectly suited for her unique image. Jackie Kennedy had been one of the most beautifully dressed first ladies in memory but Nancy Reagan joined her in representing the position so tastefully. I was disappointed that Jackie’s inaugural gown was not included in the collection. 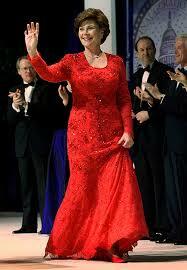 Laura Bush was especially lovely in her second inaugural gown. She is a classic style-impeccably put together but nothing too extreme. Her first gown was white but she especially wanted red for the second inauguration of her husband.Red brought out her sparkle and energy. I wonder if she chose red because she was more confident in her role after four years. Beautiful choice. 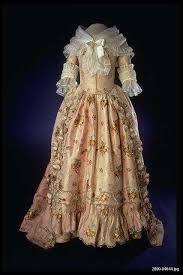 This last gown was shown on the internet with other First Ladies gowns but not attributed to anyone. I loved it as an example of earlier gowns. Come visit our updated website and check out the video! Create beauty by using color combinations that harmonize. Complementary colors are really popular this spring-summer. A couple of weeks ago, I noticed three men at church using complementary colors. They each had a different nuance but had each chosen orange and blue. Orange has been popular for a while but not worn with blue. One man wore a shirt in a rich shade of blue with white collar and cuffs with his navy suit, accented with an orange tie featuring a dark-blue designs. It was truly striking. The others used varying shades of orange and blue and were not so impactful but all were memorable. Fun strong colors for the dynamic personality. Complementary colors are those colors directly across the color wheel from each other. Think of red and green, blue and orange, and violet and yellow. Using these colors in the same intensity can be overpowering. Red and green remind us of the holidays but no one wants to look like a Christmas tree! Taking a tip from nature, do not use equal amounts of each color. The holly branch, abundant with rich, green leaves just uses just a touch of red berries. A violet uses that color for the entire flower but adds just a teaspoon of yellow in its throat. This is a great guide for how to achieve a harmonious effect. Great use of bright and subdued. Varying the intensity of the colors will offer more options in combining the colors. Remember that it takes energy to wear bright colors but choosing softer shades will be perfect for a softer personality or coloring. If you would love to jump on this trend, here are some ideas to get your creative juices flowing. Remember to keep the scale of the print appropriate for your scale. You want to present you and the garment as whole, not see the dress coming and realize later that it’s you who is wearing it! 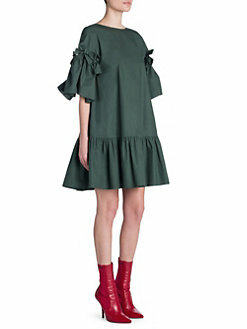 If you are not a print person, the shaded green dress pops the subdued look with red booties. Of course, you might not love that style dress but the color is what we are focusing on. 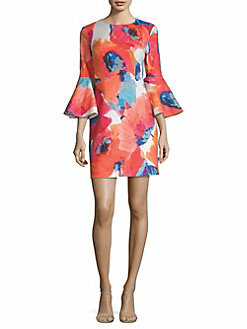 Each season we look forward to seeing the colors and styles designers are featuring for the season. Despite slight variations in published lists of colors of the season we can expect stores to feature a variety of rosy hues, aubergine, and dusty blue can be worn by most cool and warm palettes, marigold and tangerine for the warm toned palette with neutrals for all. That is a great selection with something for everyone. I remember many seasons when the palette is totally cool or totally warm and if you are not in the favored palette for the season, shopping can be challenging. Then there is aubergine—the French name for eggplant. This shade of purple has a warmer tone than what we normally think of as purple. 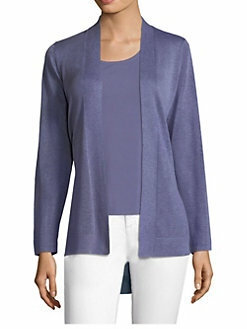 Like burgundy, shades of purple, can add variety and interest to your basic wardrobe. Enjoy the wide variety of colors available for this season. without needing some kind of a jacket. With that wonderful change of temperature comes the inevitable need to transition our closets from cool to warm. Of course, we can just pull out a few spring items to wear, leaving all of the wools, sweaters, and other winter clothes in place but that is going to create lots of closet frustration when getting dressed each morning. This is the time to spend a bit of time and do the transition right, resulting in many future saved hours and much less frustration. By following these easy steps, you will step into spring organized and prepared to make the transition back to winter in the fall. 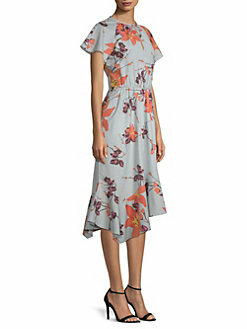 Lovely for office and out to dinner afterward. 1. Go through each item that you will be putting away for the summer. Evaluate each one. Do you still love it or is it a little out of style, showing its wear or just no longer a favorite? If you don’t see this item being a part of your fall wardrobe, go ahead and repurpose (off to the Goodwill) it now. 2. Examine each piece to make sure there are no stains and/or needed repairs. I like to have my winter things cleaned before storing them for the summer. This will protect them from invasion from moths and they will be fresh when you are ready to transfer back to warmer clothes in the fall. Remove the plastic bags (these do not allow your clothes to breathe) and arrange in groups and colors. 3. Now for the fun part! Getting out your spring/summer clothes that you have been longing to wear. Try on each item and assess for fit. Do you still love how it looks or have you added a pound or two? Double check to make sure it doesn’t need any repairs. Having your clothes ready to wear is a key to saving you from changing multiple tines when getting ready in the mornings. 4. Are there any separates that no longer have anything to wear them with? Is your favorite pair of shoes worn and looking a little shabby? Make a list of everything that you will want to replace as you complete your new spring look. Be sure to shop with your list so you don’t purchase something on impulse that won’t go with anything. Enjoy the search to find things on your list over time. Arrange the closet in order with garment and color. For example, put all of your skirts together, arranged in color. This will really help you discover buying patterns that don’t work or lost items that have been hiding. For example, you have multiple black skirts and white blouses. You probably don’t want to add another one.